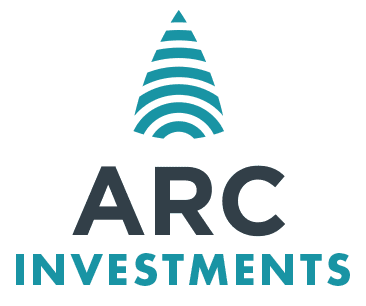 This website www.arci.mu ("Website") is made available by African Rainbow Capital Investments Limited (Company Number C148430) ("ARC Investments", "we", our" or "us"). Any reference to "ARC Investments", "we", our" or "us" includes our employees, officers, directors, representatives, agents, shareholders, affiliates, subsidiaries, holding companies, related entities, advisers, sub-contractors, service providers and suppliers. By accepting these Terms and any additional document that we incorporate by reference in these Terms, you agree that these Terms and such additional document constitute the complete and exclusive understanding between you and us and are binding. We may amend these Terms and change or remove Content in our sole discretion from time to time. Your continuous use of this Website shall be subject to your regular familiarisation with these Terms as updated to ensure that you understand and agree with the version that applies at the time, this being sufficient notice of any such changes and amendments. If you do not agree and/or wish to no longer be bound to these Terms as applicable at the time, or to revoke your consent in terms of paragraph 7, you must cease or refrain from using and/or accessing, browsing, referring to, viewing, and/or downloading the content displayed on the Website. Subject to these Terms, you may print copies and/or download extracts of any pages from the Website for your personal, non-commercial use and reference only. You may also draw the attention of others within your organisation to Content posted on the Website. You acknowledge that any Content purporting or appearing to be financial or investment advice on the Website is not intended to, and does not, constitute professional advice or a replacement or substitute for expert, professional advice of any nature whatsoever. You agree to not rely on the Website or Content in whole or in part when making investment, financial, or other decisions, or incur any expenses or losses. Before making any such decisions you shall ensure you have obtained expert, professional advice. This paragraph 2 constitutes an assumption of risk and/or liability by you and limits and excludes liabilities, obligations and legal responsibility which we will have towards you and other persons. Specifically, it is requiring you to seek, or assuming that you have already sought, advice external to this Website and the Content before making any financial investments, decisions or otherwise. Subject to the further provisions of these Terms, the Website and the Content may only be used by you for lawful purposes. Any restrictions on the use of the Website or the Content shall also apply to any part of the Website or the Content that may be cached when using the Website or the Content. material containing viruses or any other destructive materials or data or code which is able to corrupt, interfere with, jeopardise, disrupt, disable, harm or otherwise impede in any manner the operation of a computer system or hardware or software. incorporate any part of this Website into any other website without our prior written authorisation in any way. disseminate performance information or analysis of the Software from any source relating to the Software. While we endeavour to ensure that the Website is normally 100% operational and available 24 hours a day, we shall not be liable if for any reason the Website is unavailable at any time or for any period. We are not responsible for the content, opinions, practices, standards, products or services of or offered on third party websites to which we may provide links ("Other Websites"). Such links are made available for general information purposes only and we specifically note that we have no control over the content made available on Other Websites. Links to Other Websites made available on the Website are not, and shall not be construed as, recommendations, endorsements or approval by us. You may link or otherwise refer to our homepage in any website that you own or are permitted to post on in a lawful and clearly visible manner, but shall not do so in a way that is damaging or takes advantage of our reputation, or that could in any way be interpreted or suggest an endorsement, association with, or recommendation by us in relation to you or a third party. You are not permitted to (or permitted to allow a third party to) otherwise link, "deep link" or otherwise refer, give access to or make available the Website without our express, written permission. Paragraph 5 has important legal consequences for you. This paragraph results in you taking on risk, legal responsibility and liability, and limits and excludes liabilities, obligations and legal responsibilities that we would otherwise have towards you and other persons. We are not liable if you suffer losses or damages when visiting another Other Website by following a link to that website, from the Website. You accept that there may be risks when you use such Other Websites, and you do so at your own risk. For purposes of these Terms, "Intellectual Property Rights" shall mean all intellectual property rights of whatsoever nature and however embodied, including (without limitation) copyright, patents, patent rights, designs, design rights, invention rights, database rights, know-how, confidential information, trade secrets, trade marks, trade names, domain names, service marks, rights in get-up, rights in goodwill or to sue for passing off, rights in computer software, programmes, database rights, scripts, graphics, photos, sounds, music, videos, interactive features and the like and all other intellectual property rights, in each case whether registered or unregistered which subsist or will subsist now or in the future in any part of the world, and including and including all applications (or rights to apply) for, and renewals or extensions of, such rights and all similar or equivalent rights or forms of protection which may now or in the future subsist in any part of the world, as well as all rights to recover damages for the breach, infringement, or misappropriation of any such intellectual property rights. All Intellectual Property Rights in the Website and the Content are owned by or licensed to us and protected under various domestic and international laws and treaties. We reserve all rights, including all Intellectual Property Rights, not expressly granted herein to the Website and the Content. Nothing in this Website or the Contents should be considered as granting any licence or right under any intellectual property laws. circumvent, disable or otherwise interfere with security related features of the Website or features that prevent or restrict use or copying of any Content or enforce limitations on use of the Website or the Content therein. We may collect personal data about you on this Website. We will handle the collection, processing and storage of your personal data in accordance with the provisions of this paragraph 7. By disclosing or submitting your personal data to us, you consent to us collecting, processing and storing your personal data for the purposes described in this paragraph 7. We will take reasonable steps to prevent unauthorised access to, or disclosure of your personal data. However, we do not guarantee that your personal data shall be 100% secure. You agree that we may collect, collate, process and/or store your personal data ("Collect") for, among other things, any of the purposes listed in paragraph 7.10 below. The types of personal data that we may Collect includes data within the scope of the categories of personal data identified in relevant data protection law in the Republic of Mauritius, the Data Protection Act and the Republic of South Africa, including the South Africa, Protection of Personal Data Act, 4 of 2013 (whether or not in force). This may include, among other things, your name and identity number, e-mail and physical addresses, postal address, contact data, ethnic or social origin, age, and the pages of the Website viewed by you. We will attempt to limit the types of personal data we Collect to only that to which you consent and which is necessary for our legitimate business interests. Personal data may be Collected by us in several ways, including (without limitation), when you browse the Website. You acknowledge that all personal data Collected by us may be stored by us on our internal systems and may be transferred to our associated companies outside Mauritius or South Africa (as applicable) for the purpose of, and used for, any of the purposes listed in paragraph 7.10 below. for security, administrative and legal purposes. We will not disclose any of your personal data to third parties, (i) except where required to, or permissible, under law or (ii) unless you have consented to such disclosure. notwithstanding paragraph 8.3, we make no representations or warranties, implied or otherwise, that, among others, the Website is free from errors or omissions or will be 100% uninterrupted and error free. requires you to assume risk or liability, to the extent that the law does not allow such an assumption of risk or liability. As far as the law allows, the Website and Content is provided without any representation or warranty whatsoever, whether express, implied or statutory. Paragraph 8 has important legal consequences for you. This paragraph contains assumptions of risk and/or liability by you and limits and excludes liabilities, obligations and legal responsibilities which ARC Investments will have towards you and other persons. This clause also limits and excludes your rights and remedies against ARC Investments and places various risks, liabilities, obligations and legal responsibilities on you. any damage that you content you may have uploaded caused to a third party. Paragraph 9 has important legal consequences for you. This paragraph contains assumptions of risk and/or liability by you and limits and excludes liabilities, obligations and legal responsibilities which ARC Investments will have towards you and other persons. This clause also limits and excludes your rights and remedies against ARC Investments and places various risks, liabilities, obligations and legal responsibilities on you. If these Terms (or any contract governed by these Terms) provided and/or made available on the Website are regulated by or subject to the terms of any consumer protection laws or statutes in any jurisdiction ("Consumer Laws"), it is not intended that any provision of these Terms contravene any provision of the Consumer Laws. Therefore all provisions of these Terms must be treated as being qualified, to the extent necessary, to ensure that the provisions of the Consumer Protection Act are complied with. limits or excludes any warranties or obligations which are implied into these Terms (or any contract governed by these Terms) by the Consumer Protection Laws (to the extent applicable) or which we give under the Consumer Laws (to the extent applicable), to the extent that the law does not allow them to be limited or excluded. Where relevant, when a user visits the Website and submits information, data and/or documentation, that user consents to receiving communications from us electronically and agrees that all notices, disclosures and other communications sent by us satisfies any legal requirements, including, but not limited to, the requirement that such communications should be "in writing". By using the Website, you consent to the collection and use of information by us as specified. The Terms, the use of the Website and any related matters are governed by the laws of Mauritius and are subject to the exclusive jurisdiction of the courts of competent jurisdiction in Mauritius. Should any person outside of this jurisdiction access the Website or Content, they do so at their own risk and are responsible for compliance with applicable local laws and regulations. If any of these Terms are unlawful, void or unenforceable for any reason, then those Terms may be severed and shall not affect the validity and enforceability of the remaining Terms. Any indulgence of whatsoever nature granted by us, or a failure to exercise or enforce any right or provision of these Terms shall not be construed as a waiver or variation of any such rights, remedies or provisions. These Terms, and any rights and licenses granted hereunder, may not be transferred or assigned by you, but may be assigned by us without restriction. Any assignment or transfer by you shall be null and void. These Terms shall apply to the benefit of and be binding upon each party's successors. These Terms were last updated on 16 August 2017.